We're always on the hunt for the best dog products around, and we suddenly thought - what's the point in us knowing if we don't tell you? Continuing our series of the Best Dog Products, we've been hard at work finding the best dog beds. Chloe and Mia have given their valuable insight leaving us with their top 5 designer dog beds - we hope our selection has something just for you! Send us your pictures and videos of your dogs relaxing at home on their favourite designer dog beds for our brand new K9 Stars section online at K9Magazine.com and don't forget to email us your best dog product suggestions - we love to hear from you. 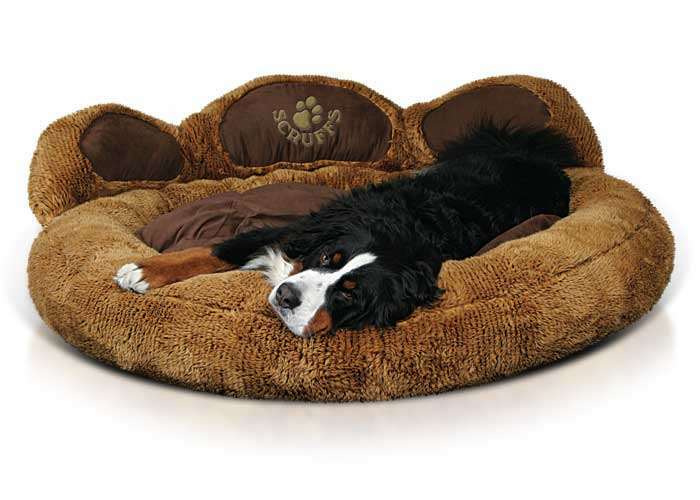 So, without further delay, here's K9 Magazine's countdown of the best designer dog beds! Grizzly Bear Bed from Pets Love Scruffs – This giant bed makes the perfect place for larger breeds to snooze in comfort and style a reality! Danish Design Morocco Bed from Pets J’adore – An exotic mix that brings a hint of Africa to your home! This faux suede bed is washable. Pocket Bed Dog Travel Bed from Pocket Bed – A great, light-weight dog travel bed. Make the Pocket Bed your dog’s travel companion! Snugdogs from Avondale Pet Luxury – A wonderful, fun and very different design style dog bed, this bed can lay flat or stand up! The comfy cushion is sure to be a firm favourite place for your dog to relax. Danish Design Luxury Tweed Slumber Bed from Paws Boutique – Available in 6 sizes, this bed is bound to provide the perfect fit for your dog. These stylish dog beds evoke the essence of the countryside.